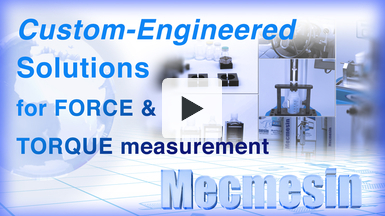 Mecmesin has been at the forefront of force and torque measurement for 40 years. Our team of experienced application engineers can work with you to deliver custom-designing products to your exact requirements. This video highlights the range of solutions we can offer from simple, custom-designed grips and fixtures, through to complex automated test systems, designed to relieve operators of tedious or difficult tasks and to provide greater consistency and speed during material handling and testing. 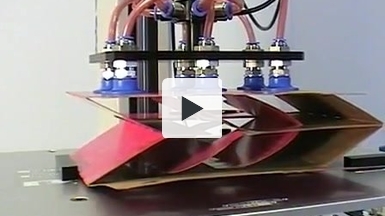 A tensile test is performed to test the integrity of beverage basket carriers and cardboard box packaging. The test ensures optimimum production line efficiency and that consistent standards of packaging quality are maintained. 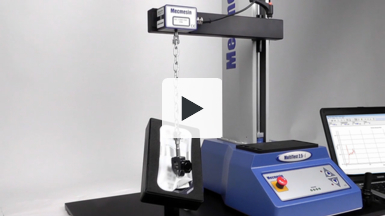 The tests are conducted on a Mecmesin motorised tensile tester combined with a custom-designed vacuum test fixture, to ensure the tests are performed at a consistent speed to gain better accuracy. 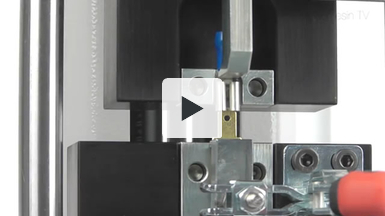 This video shows a MultiTest 2.5-xt measuring the insertion and withdrawal force of electrical connectors. A custom made fixture holds the male and female connectors while Emperor software controls the movement of the test stand, and records the forces at the requisite points in accordance with test standard BS 5057.